You applied for a job a week ago but never got a call back since. Though it’s easier to move on and look for opportunities elsewhere, you can consider making one last attempt to get the job by sending a reminder letter to a recruiter. A reminder letter is a great way to make a follow-up on a concern or responsibility that has not been met. That being said, read on to find out how you can create a good reminder letter in a snap. Reminder letters can come in handy during various circumstances. Perhaps you ordered a package online but it failed to arrive on time, or maybe you asked a client to submit a document and you’d want to make a follow-up to ensure they don’t forget. 1. 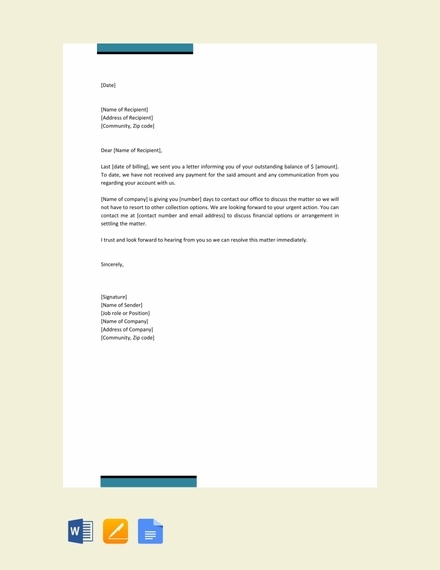 Heading: A professional business correspondence is usually printed on a corporate letterhead. This contains the name of the company, office address, and contact details. 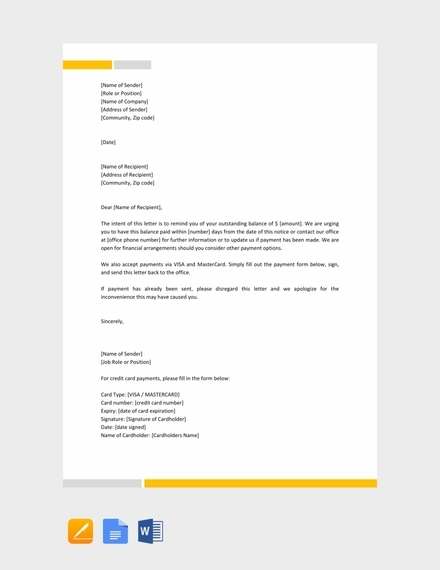 A personal letterhead may be used for informal or casual letterheads as well. 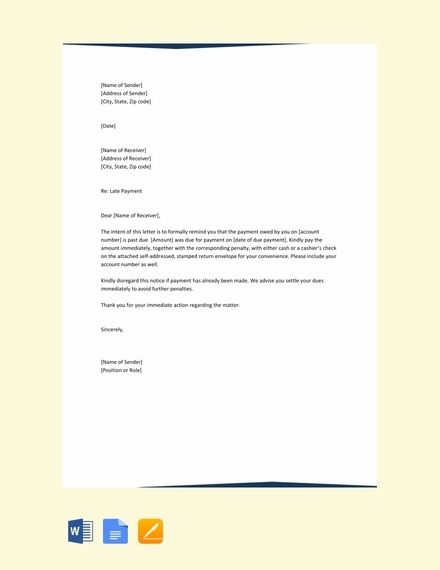 But even if you decide not to use a letterhead, you must include the sender’s information nonetheless. 2. 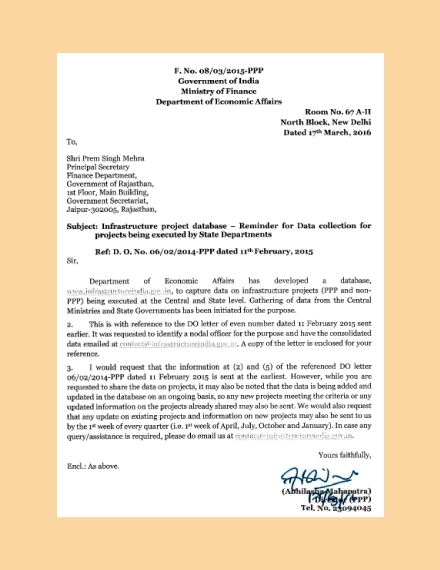 Date: The date when the letter is sent should be indicated in the format Month, Day, Year (ex. June 12, 2016). The month must not be abbreviated and all four digits of the year must be included. 3. Address: This refers to the address of the recipient. A professional letter often includes the recipient’s name and title on the first line of the address block as well. The second line states the company or business of the recipient, while the third and fourth lines are designated for the actual address of one’s office. 4. Salutation: This would usually depend on the circumstance at hand. When the recipient’s name and title is known, you can use Dear. Otherwise, To Whom It May Concern will be more appropriate. It’s highly advisable to punctuate your salutation with a colon as opposed to a comma as well. 5. Body: The body, as the longest part of the letter, is typically divided into three subcategories: the introduction, main content, and summary. The purpose of the letter and other necessary information must be specified in this section. 6. Complimentary Close: Some common closing remarks include Sincerely, Best Wishes, Regards, and Cordially. 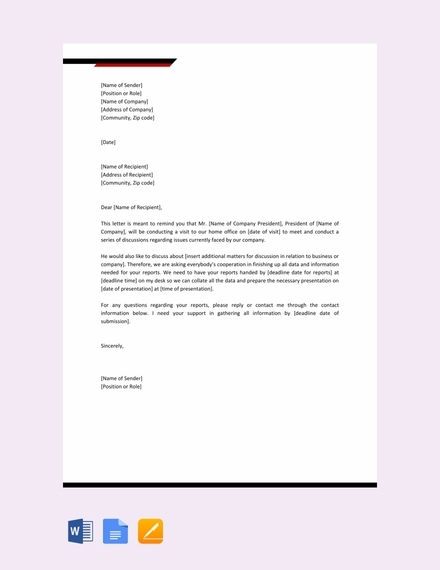 This marks the end of the correspondence and may vary in degrees of formality. 7. 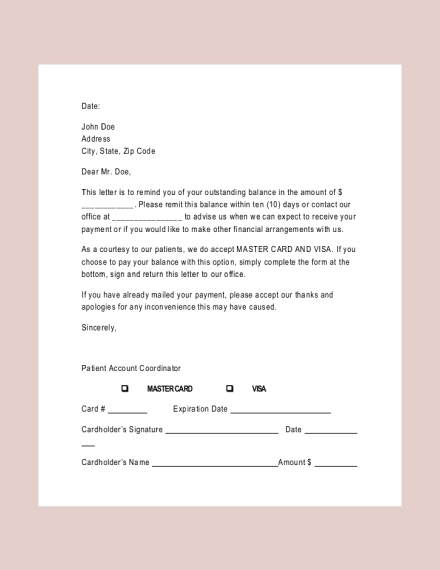 Signature: Letters that are hand-delivered or faxed should contain a good amount of space below the closing and above the typed name and title to make room for the sender’s written signature. Reminder emails, on the other hand, simply comprise of the sender’s name and title. 1. Address your recipient: Though you can address the company or organization in general, it’s always best to inscribe a particular individual for a more personal approach. However, you should also avoid stating one’s name or title if you are uncertain about it. The last thing you would want to do is to send your letter to the wrong person. 2. State your purpose for writing: This should be clearly established in the body of the letter. You can use the phrases I wish to let you know; I understand you have a lot of work, but I want to remind you; When you get a chance, please; and Just checking to see if to remind the reader of an expected action without sounding harsh or impatient. 3. Include additional details to support your claims: In certain cases, you might have some sort of document to support your statements. This can be anything from a sales invoice to a simple receipt. The tracking number or reference number printed in the document may be useful for tracing a package that didn’t arrive. This should be specific and relevant to your main purpose. 4. 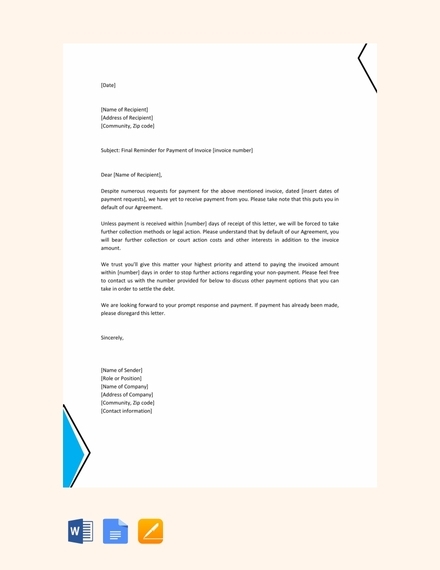 Specify what you expect will happen in response to the letter: Similar to a complaint letter, you might have other concerns that have to be settled. It’s important to remind the recipient of their responsibilities in the deal along with how you want them to respond. You can also indicate possible consequences that may occur if the recipient fails to fulfill his or her duties accordingly. 5. Send your thanks: You might be feeling a bit frustrated and anxious for being forced to write a reminder letter in the first letter. But even then, you still need to be polite enough to extend your thanks. After summarizing the entire situation to your recipient, you can end the letter with words of gratitude for whatever time and effort was exerted. Identify the type of letter you are writing: Is it a formal, semi-formal, or informal reminder letter? The answer to this question will help determine both the tone and conveyance of your message. This allows you to tailor your style and choice of words according to your exact purpose. 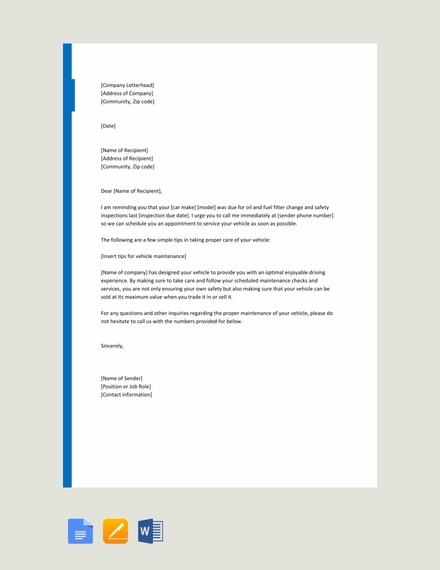 Open and close the letter correctly: In connection to the letter type you are writing, keep in mind that each kind of letter requires a different kind of opening and closing. For example, when you write a letter to someone you haven’t met, always begin your letter with a formal greeting and closing. On the contrary, informal letters usually have a friendlier tone from start to finish. Use standard phrases: As much as you want to sound sophisticated enough to impress your reader, this will only make room for ambiguity with your letter. Avoid jargon at all costs. Using basic expressions and phrases that the average person can understand will ensure clarity in communication. Stay on topic: It’s easy to drive yourself off-course in letter writing. This usually happens when you try to explain your situation in complete detail for the reader to understand. It’s a good idea to prepare an outline prior to writing the letter to avoid any complication later on. Write at least 150 words: Reminder letters don’t have to be long and wordy, so a minimum of a hundred and fifty words would be enough to convey the right message. You can exceed the word count, as long as everything that has been stated is completely relevant to your purpose. 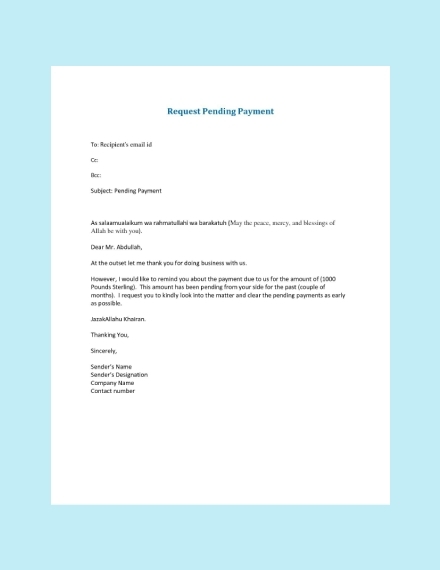 Be sure to cover all the vital information before finalizing and printing the letter. Use bulleted points when necessary: Bullets help keep your content brief and concise. Instead of constructing a lengthy paragraph of words, you can use bulleted points to summarize and present information in a clear and organized manner. This is perfect for noting down instructions, ingredients, and materials as well. Late Payment: It’s been a week and you still haven’t been compensated for your services. No one wants to wait to be paid, especially when this is your only source of income. 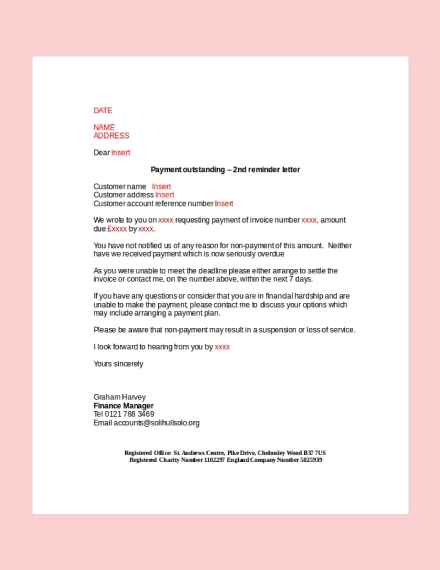 If someone owes you money and some time has already passed, you can send a reminder letter to find out when you can expect a payment. Late Work: If you work in a group and your colleague or teammate failed to do their part, it could potentially affect the entire outcome of the project. Don’t hesitate to send a reminder to the person concerned when the circumstance desperately calls for it. Follow Up for a Job Application: Job hunting can be a nerve-wracking experience for anyone. To put your mind at ease, it wouldn’t hurt to make a follow-up on job interviews and applications. That way, you can stay in close contact with a potential employer to let them know you’re interested and determined. Late Shipment: Always let the vendor know that their shipment is late whenever you’ve ordered something and it hasn’t arrived. They might have encountered some shipment issues but failed to inform you, so it’s best to have this clarified before making any assumptions. An Upcoming Milestone: A gentle reminder before an important deadline or meeting will always be appreciated by those who tend to be forgetful at times. With the hectic schedules that fill our calendars, a good reminder is sure to come in handy. 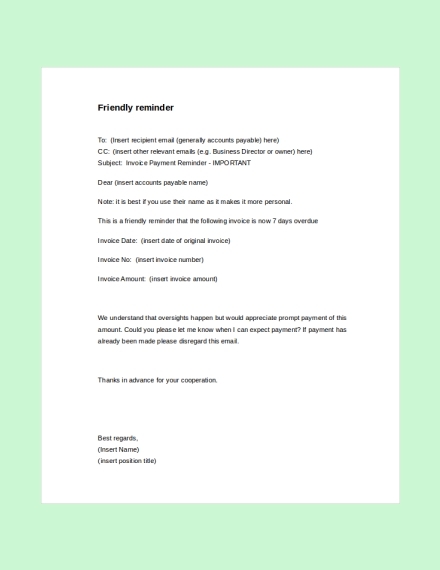 How can I make a reminder letter? The first thing you would need to is to determine your exact reason for writing. When you’re fully aware of what the letter is for, writing its content will be as easy as pie. You can also choose to download a template and customize its content to suit your requirements. Make sure to provide as much information as possible so that the letter may effectively communicate your message. What is the purpose of a reminder letter? 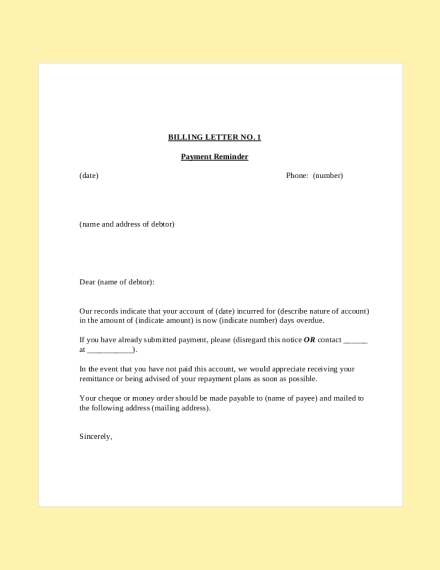 A reminder letter is a document you send to a customer or vendor to prompt a particular action. 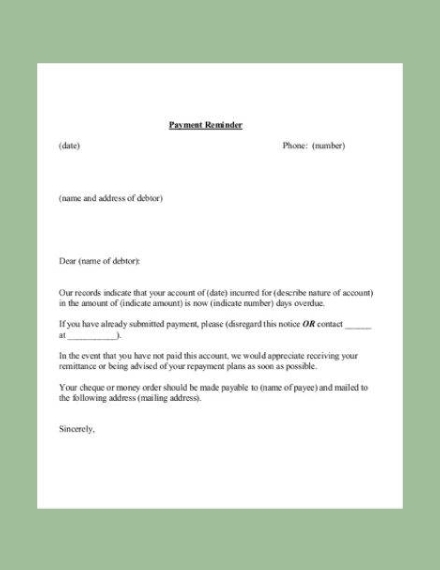 You can use the letter to remind someone of a payment or deadline that has passed or is due soon. 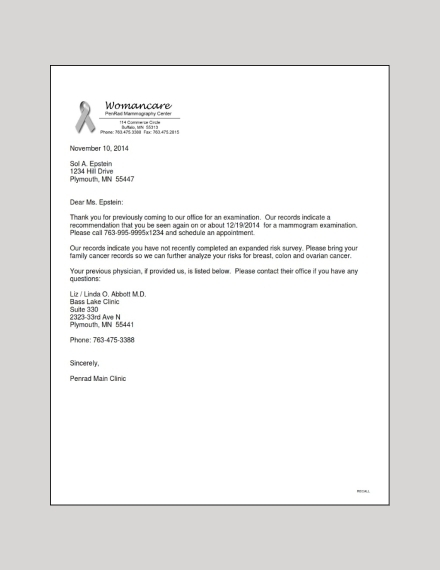 This will help raise awareness and keep a recipient informed regarding a matter that he or she may have forgotten. Why is a reminder letter important? It’s not unusual to constantly receive reminders in a business setting. That’s because there are many instances where some periodicals and statements are not received until reminders are sent. In fact, some people only acknowledge a given matter after getting a reminder from their clients or superiors. Although this has caused some employees to grow dependent, reminder letters are considered to be a valuable tool in business communication. The key to writing an effective reminder letter is to remain professional at all times. And with the help of these templates and examples, you can remind clients and colleagues of their duties and still maintain a good relationship!